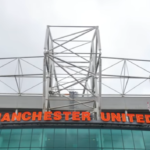 The Proteas visit Manchester United’s football stadium before their fourth Test defeat at Old Trafford. 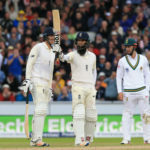 Moeen Ali took 5-69, as England thrashed the Proteas by 177 runs to win the fourth Test at Old Trafford and win the series 3-1. 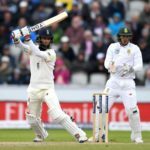 Three Moeen Ali wickets on the stroke of tea have left England on the brink of victory as the Proteas go into tea on day four on 182-6. 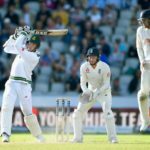 Temba Bavuma fell on the stroke of lunch in the morning session on day four, after England set the Proteas 380 for victory at Old Trafford. Morne Morkel took the last two wickets to finish with figures of 4-41, as England were bowled out for 243. 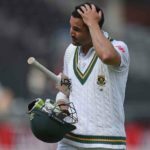 The Proteas will need to smash the Old Trafford record of England’s 294-4 against New Zealand in 2008 to win the match and level the series. 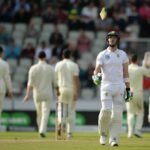 First, the winning chances for South Africa in their final Test match of this England series at Old Trafford: ok, moving on quickly, writes GARY LEMKE. 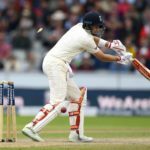 England lifted themselves to 224-8 before the rain fell, and they will go into day four at Old Trafford with a 360-run lead. The Proteas took four wickets in the second session, but Joe Root’s 49 allowed England to get to 138-6 by tea. 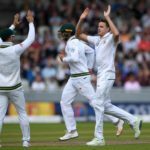 The Proteas were bowled out for 226, before England built up a lead of 189 runs as they got to 53-2 by lunch on day three. The bowlers will need to put England under immediate pressure as they go into day three on 220-9, trailing the hosts by 142 runs. 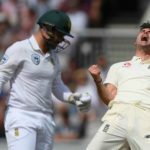 South Africa asked for the heavy roller between innings on day two at Old Trafford, but instead it was they who found themselves flattened on another desperately poor day at the office. 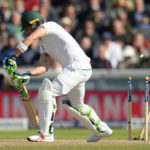 James Anderson’s 4-33 has left the Proteas struggling on 220-9 going into day three of the fourth Test at Old Trafford. 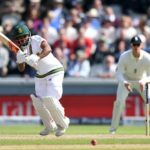 Temba Bavuma, in at No 4, got to 30 as he steered the Proteas to 93-3 by tea on day two at Old Trafford. 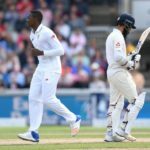 Kagiso Rabada finished with figures of 4-92 as the Proteas bowled England for 362, with the Proteas going into lunch on 12-1.